WordPress is one of the famous blogging platforms. It is used by approximately 61% of the CMS systems worldwide. Securing it is a big challenge. There are hundreds of hackers every day trying to break into popular sites such as WordPress. 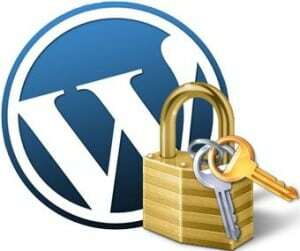 Here in this article you will see a few tips to protect your WordPress blog. First and foremost, keep your credentials secure. Your login details should be complex to guess. They have to be protected. Do not use common words based on your usual routines or personal details. Choose complex passwords with combinations of special characters and numbers. Weak passwords are an easy entry. Choose to host your site on a secure platform. This will need security protocols like HTTPS to be used to access your site. But this is more secure than normal hosting. A lot of hosting service providers offer this for an extra premium. But the cost is worth the damage. Secure hosting prevents malicious entries. It secures your site by allowing only credential users. Get your systems free from malware. Malware or Spyware are malicious programs that peep into your system directories. They cause damage and are prone to viruses. Install your systems with proper anti-virus or malware programs to secure them. Eliminate the systems if they are virus prone. This avoids viruses being transmitted across your site. The simplest way to secure your site is to have your user name to access. WordPress provides admin access. Admin access provides complete rights to the users. Have an email or a username to gain entry. This will prevent brute-force attacks. Have a quick check on the install scripts that use admin as username. Rewrite them to have your user name as an access name. And also remember to secure the access with a strong password. Another way that web sites use is to provide a 2 way authentication mechanism. This means the access to the site is in two levels. First level involves an entry and the second level provides the access. Both the levels need to be authenticated. Even if one fails, the access will be denied. 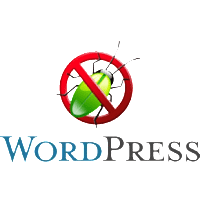 Adopt your WordPress site to have a 2 way security mechanism. This is very important if you access the site from multiple devices such as phones, tablets and computers. This may take a while to gain entry. But adding one more level to the security is safer. Make infra changes. This will include the addition of firewall or hosting your site on a secure VLAN, etc. These are specialized security mechanisms available to protect your WordPress site. A firewall will deny access when originated from unknown or untrusted IP addresses. The firewall also prevents certain malware programs to gain access. Many users limit their login attempts to prevent denial of service attacks. Hackers generally try and login multiple times to bring down the system. When continuous login attempts are made, the system is busy entertaining the authentication and stops from responding to other requests. Thus, an easy way to secure is to limit the login attempts to your site. This will ensure that access is allowed with a certain number of retries. Also, it is good to limit the simultaneous logins for your site. This would mean limiting the number of devices you can login from at the same instant. These limits ensure that your WordPress site is accessed from a trusted device and by your trusted user. 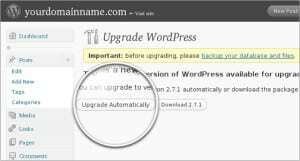 WordPress updates multiple versions for their sites. Always ensure you are running your site on the latest version. This will secure the system with the latest security updates. The plugins that have been an integral part of the ecosystems also need updates. By updating to the latest versions, you will ensure your site is free from outdated plugins. This will make your site not vulnerable. Always plan a backup for your contents. With the latest trends in internet blogging, you may not predict the hacking patterns. It is a good practice to back up the contents. This will take care of any accidental damages to your site. Accidental damages would also include physical damages. Plan a periodic backup. So any loss due to damages will be a small delta. And that may not cause a big loss of your site. It also helps to get your site back up quickly after an attack. Limit the users from browsing your user directories. This is one of the most powerful features of WordPress. So limit these features to show the users the directories they need. Do not provide universal access to the directories. Hide your name as part of the URL from the users. This puts your site to a major risk as the attackers can gain access to your user directory. Keep it simple. The simpler your site is, the easier it is to manage. Tracking and monitoring any accesses and attacks become easier. Also, it is easy to have a periodic snapshot of activities on your site. This dashboard will help you analyze the patterns of access and take actions accordingly.